It is in the language - definition of fasting -: constipation, and in the law: specific constipation at a specific time for a specific person for this condition. 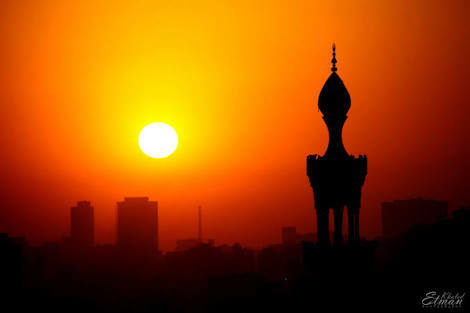 The Prophet (peace and blessings of Allaah be upon him) said: "If Ramadan comes, the doors of paradise will be opened, the doors of fire will be closed and the devils destroyed." 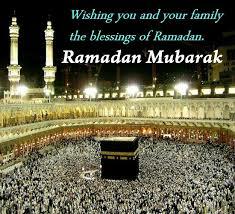 In the other narration: If Ramadan opens the doors of mercy and closes the doors of hell and casts demons. A group said: It is not said: Ramadan alone in all cases, but it is said: The month of Ramadan, this is the owners of the owner, and claimed that the name of Ramadan from the names of God does not let others from the record. The majority of our companions and Ibn al-Bagulani said: If there is an assumption of his behavior for this month, he is not disliked, otherwise he is naughty. They said: It is haraam to say: Ramadan and Ramadaan. The third is the opinion of al-Bukhaari and the scholars that it is not haraam to release Ramadaan with a kaafir without a presumption. The first two are corrupt, because the cartel has been proven to be shariah and it has not proven that it is haraam. (P. 154). The names of God are repressed, which are given only through proper evidence, even if it is proven that a name is not required of him as a sin. This talk is mentioned in the explicit section in the reply to the two colonels. This hadeeth has many similarities in the saheeh of Ramadaan in the month without mention of the month, many of which are mentioned in the book of faith and others. God knows. The Prophet (peace and blessings of Allaah be upon him) said: "I opened the doors of Paradise and closed the gates of fire and closed the demons." Judge Ayad said may God have mercy on him: it can be on her face and reality. And to prevent them from hurting the believers and whispering to them, he said: It is likely that the metaphor is intended, and be a reference to the abundance of reward and forgiveness, and that devils reduce their seduction and appetite like a prostitute, and separate things without things, people without people, Another hadeeth said: "Safad said: It is possible that the opening of the doors of Paradise is the phrase that God opens to his slaves acts of worship in this month, which do not fall in other generally, such as fasting and doing good deeds and circumventing many irregularities, Doors, and legitimization of demons is the term infidels, and with Ni-adjective: Glalt, the ancestor by opening the gap (Ghul) by incorporating Guine, which is the serial meaning in the other novel.This is the words of the judge, or the letters in the Sun of his words.